The Apostle Peter wrote a letter to Christians in which he called them “aliens and strangers” because of their belief in a personal Creator and Lord. In this letter, he tells Christians to “always be prepared to give an answer” to those skeptics who want to know about their faith in God. 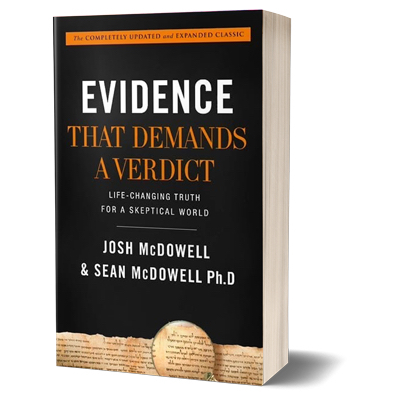 In Evidence That Demands A Verdict, Josh and Sean McDowell have given Christians a key component to help them be prepared to give sound answers. This book is massive (at just under 900 pages)! But it is an encyclopedia of evidence that will prepare Christians to respond to any argument that an atheist or skeptic may bring up. To be honest with you, the Table of Contents is usually one of the first places I study in books I’m reading, but I usually end up skimming through it pretty quickly. But in Evidence, I was pleasantly surprised at the layout. Not only will you find a listing of the chapters, but a brief description of the contents. At the opposite end of the book, the Subject Index is also quite extensive. I know these are not things usually bragged on in a book review, but for a book this size—and for the numerous times you undoubtedly will be returning to prepare to answer a skeptic—these two reference points are extremely handy! The first edition of Evidence (written by just Josh) came out nearly 20 years ago. If anything, the evidence for the beliefs that Christians hold has been further validated through research, archeological discoveries, and the like. So it was time for this classic book to be updated. The additional apologetic insights from Sean in this edition is a very nice addition. Whether you read Evidence when it was first released or not, every Christian that wants to answer Peter’s directive for preparedness needs to get this new edition. I am Thomas Nelson book reviewer. I am looking forward to obtaining a copy of this edition of ETDAV, but it is actually the 4th Edition, NOT the 2nd one. The 1st Edition was a red, black, and white canvas-covered book published by Josh in 1972 and revised in 1979. While they were great “starter” versions for young Christians like me, the 3rd Edition was greatly expanded and published in 1999 as “The NEW ETDAV” in a thick, gold, hard-cover! I’m sure Josh can confirm these details. God bless you and thus new Christian apologetics book! Thanks for those clarifications, Bill. Much appreciated! Thank you for the cover-to-cover review! I follow Sean on Twitter & saw his RT of your tweet. (I’m amazed that even makes sense! Hahaha!) I’m finding in this season of life, I’m engaged in more deep conversations regarding faith in Jesus. I’m hoping this book will provide the tools needed to further those conversations, and in turn, point them directly to Him. Tools like this one should be known by as many christians as possible, unfortunately for some of us is difficult to get this kind on material so easily. I would love to read a book like this and would love to put into practice it’s contents. I know one can never “win” a soul by winning an argument, but sure it helps tons! 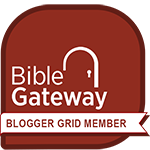 After discovering Apologetics, I realized the Body of Christ was overlooking one of the key elements to combating the drastic loss of membership. People need a logical reason for their faith, and books such as this are vital to strengthening faith and improving a relationship with God. I definitely need this book! Being armed with the Word of God during these perilous times is enough. To be backed up by facts that prove its authority is a greater blessing. Hoping to have this copy to have myself and my fellow Christ-followers to be equipped in conversing with any person who doubts His claims. God speed! Sounds like a great book. Sean McDowell is an extremely smart man that I listen to all the time through YouTube and his website and I follow him on twitter and I’m definitely getting this book. Evidence of why we believe what we believe is so important in the world we live in today. « What Does The Bible Say About Church Leaders?